Mumps is an infectious viral disease that causes fevers and swollen salivary glands, mostly in children. 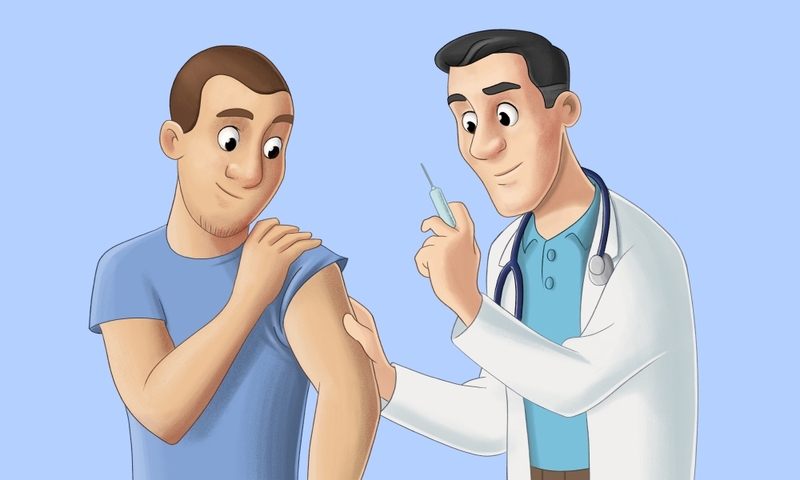 A mumps vaccine is available and given as part of the measles, mumps, rubella (MMR) or measles, mumps, rubella, varicella (MMRV) combined childhood vaccinations. Mumps is caused by the mumps virus. When an infected person sneezes or coughs, the virus spreads via millions of tiny droplets, each containing many viruses that are spread into the air. If a droplet enters your nose or mouth, you may then be infected with the virus. 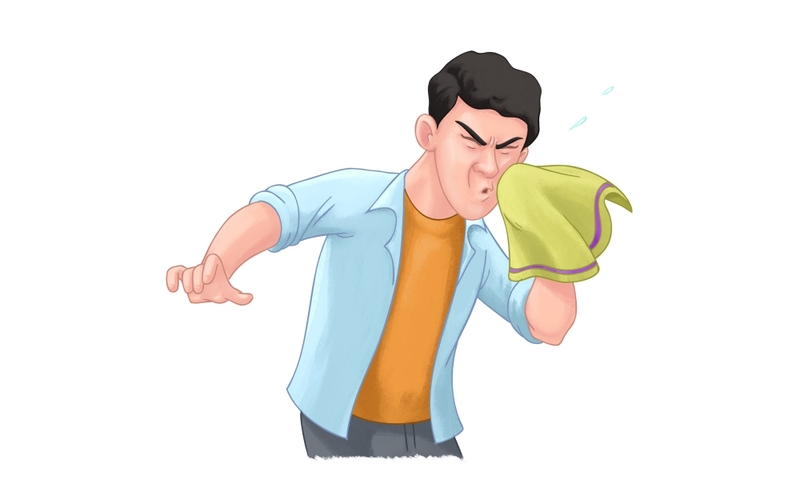 The droplets can also collect on surfaces and objects; you can catch the virus by touching an infected surface and then touching your nose or mouth area. The mumps can be transmitted from exposure to infected bodily fluids such as saliva. People who catch mumps as adults tend to have more serious symptoms and also stand a higher chance of complications. The symptoms of mumps usually appear about 2-3 weeks after the infection. About a third of all people infected with mumps have no symptoms at all 1. The most distinctive sign of mumps is a painful inflammation of the salivary glands. The salivary glands that are most commonly affected are the two parotid glands, located in the sides of the face. The area can become painful, tender and swollen. This sign, also known as parotitis, appears in 60-70% of all mumps infections1. One or both glands may be affected. Mumps causes parotitis, an inflammation of the salivary glands. Symptoms of mumps normally last 3-4 days and parotitis can remain for about 7-10 days, then go away naturally unless there are complications. An infected person is able to infect others for a day or two before parotitis appears and for a period of about a week afterwards. Your doctor will diagnose mumps by noting the symptoms, especially the enlarged salivary glands. That is usually enough, but blood tests (checking for the presence of the virus and for antibodies against it) can confirm the diagnosis if necessary. There is no specific treatment for mumps. Treating a mumps patient focuses on relieving the symptoms while the patient’s immune system handles the disease. Drinking plenty of fluids to prevent dehydration. Applying icepacks or heat packs. An inflammation of a testicle, or orchitis, appears in about 15-30% of teenage and adult males who are infected with mumps. The testicle may enlarge, be painful and tender to the touch. In about 20% of orchitis cases, both testicles are affected1. The discomfort can be relieved somewhat by warm compresses and by wearing supportive underwear. The condition usually goes away naturally after about four days, but can occasionally last for up to six weeks. Orchitis can sometimes reduce fertility and in rare cases, cause infertility. An inflammation of the ovaries, or oophiritis, can appear in about 5% of teenage and adult women infected with mumps1. The infected woman can feel ill, have a fever and pain in her pelvis and lower abdomen. Inflammation of the breast, or mastitis, can also occur in teenage or adult females. Women who are infected with mumps during the first trimester of pregnancy are in danger of miscarriage. However, a mumps infection during pregnancy has not been found to cause any birth defects in pregnancies that carry to full term. An inflammation of the membranes around the brain (meningitis) or of the brain itself (encephalitis) can occur as a result of a mumps infection, especially in male teenagers and adults. It can cause nausea, vomiting and sensitivity to light. It usually passes within two weeks. Serious, life-threatening meningitis and encephalitis can occur as a result of mumps, but is uncommon. A small number of people who contract mumps will experience hearing loss, or even become temporarily deaf in one or both ears. This will usually pass, along with the other symptoms of mumps, but permanent hearing loss can occur in some cases. Severe inflammation of the pancreas, or pancreatitis, is a rare complication of mumps1. Mumps is usually not a serious health risk and goes away naturally after a few days. Long-term harm is rare. 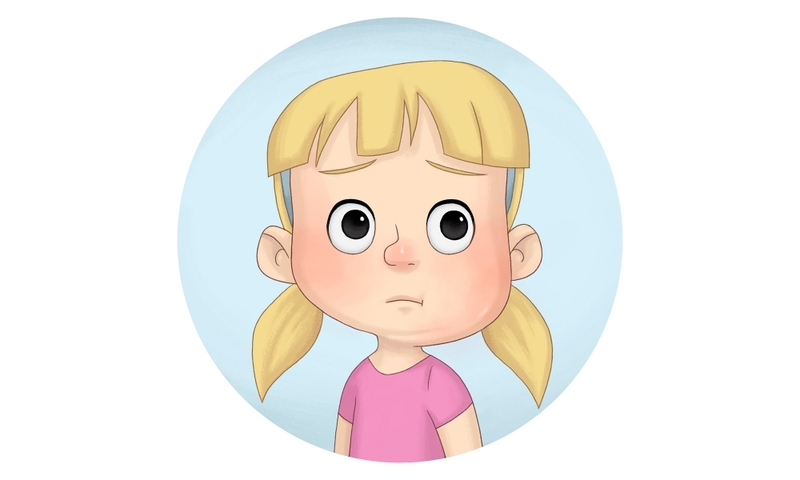 A mumps vaccine is available and given routinely to children, usually from 12 months of age, as part of the measles, mumps, rubella (MMR) or measles, mumps, rubella, varicella (MMRV) combined vaccine. In case of an outbreak of mumps in a community, unvaccinated children may be asked to stay home and not come to day care or school until the situation improves. A vaccine to prevent the mumps infection is available. Reproduced with permission from Health&. Health& is your personal health companion for life. We help manage you and your family’s health.